Scroll down for more information about our 2019 varieties! Transplanted onion crops usually mature at least 5-10 days earlier than seeded onion crops. Generally, an early crop can be sold for a higher price. Transplants produce more uniform, large and high quality plants and they are ready when needed. Weather conditions early in the spring can make field seeding difficult and unpredictable. Transplants can be held in relatively good condition even if inclement weather delays field transplanting. 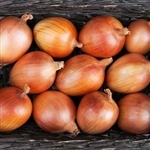 Short-day onions produce bulbs where the amount of sunlight is approximately 10 hours, which is the amount of sunlight the southern US receives in the summer. The earlier short-day onions are planted, the larger the bulb. In the southern US, plant during the winter or early spring (110 day maturity) and in the northern US, plant in late spring (75 day maturity). Intermediate-day onions (or day-neutral onions) produce bulbs where the total amount of sunlight is approximately 12 to13 hours each day. 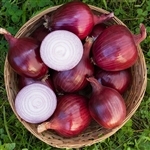 These type onions are know for their sweetness and mature in approximately 110 days. 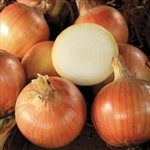 Long-day onions produce bulbs where the total amount of sunlight is approximately 14 to 15 hours and are best suited for states in the northern US. NOTE: For larger orders, contact us about our Custom Grow Program. We begin booking Custom Grow onion transplants in July 2017. 7 Late JAN. to mid FEB.
8, 9, 10 JAN. to early FEB.